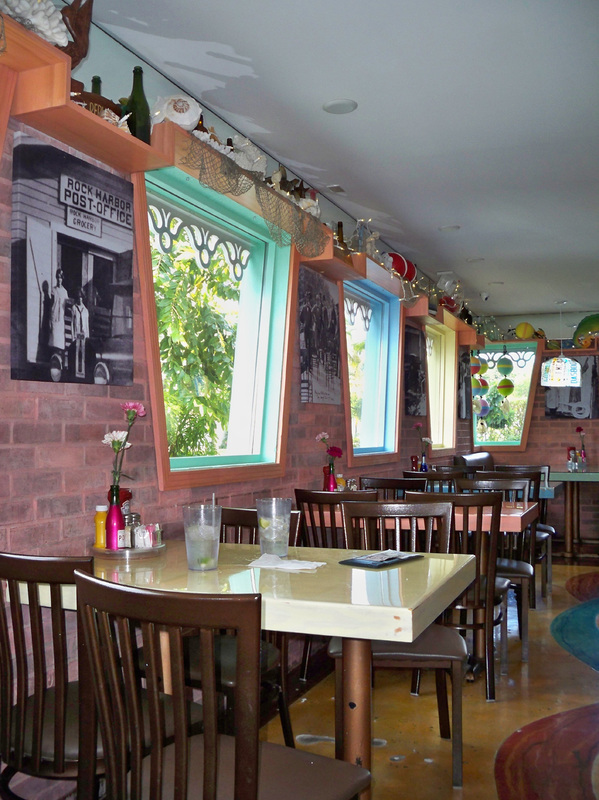 Following some deliberation regarding whether to spend another night at the Tropical Cottages and go back to Key West the next day, Skye and I remembered the Coral Castle! This had long been on our list of "somedays", and who knew when we would get to this far southern corner of the U.S. again? 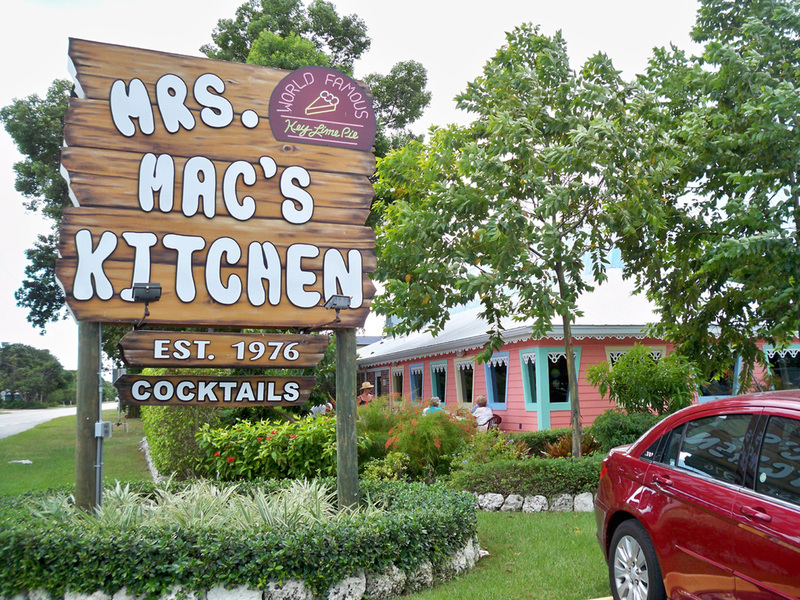 Mrs. Mac's Kitchen was nicely situated in the median, easily accessed from traffic moving in both directions. 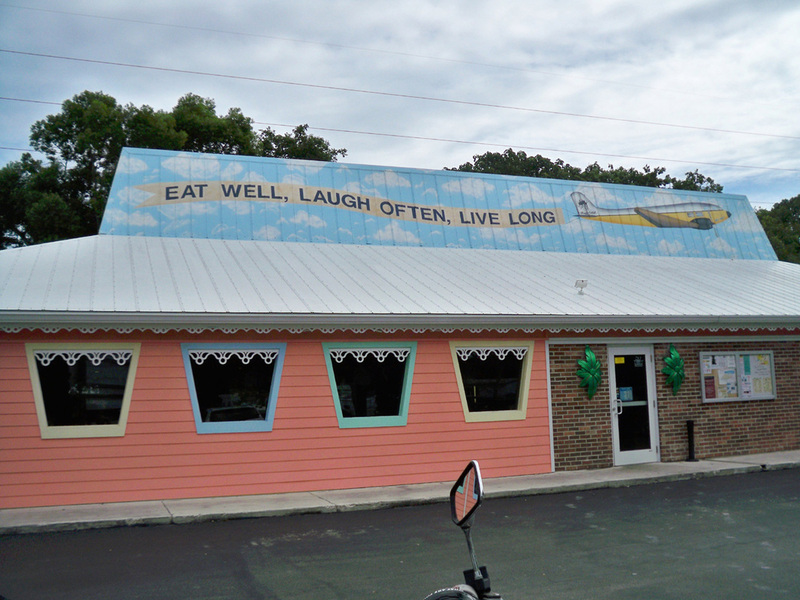 We were a tad disappointed in the food, but the decor explained the high ratings! Foolishly, I passed up a fork in the road that seemed to beckon, only to realize later that it would have taken us through Biscayne National Park on our way back to the mainland! 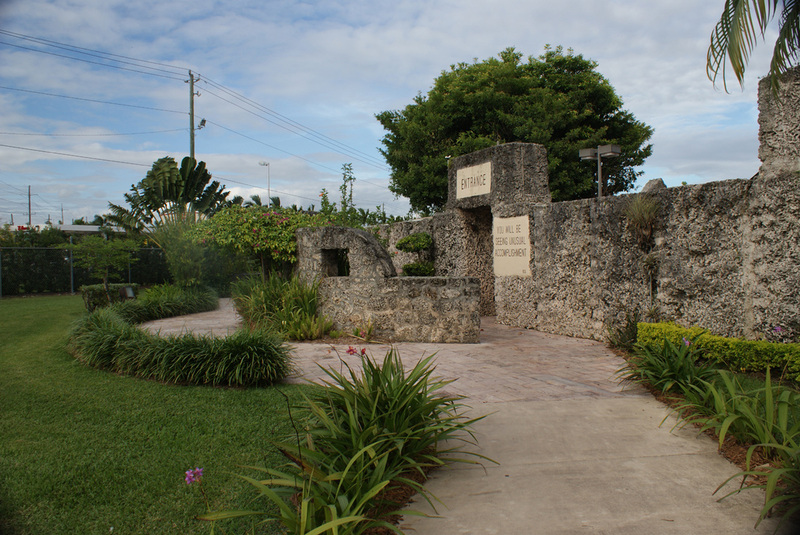 A stop at the Visitor's Center in Homestead looking for discounted admssion coupons for Coral Castle provided an educational opportunity for the two elderly ladies on staff. They were curious about our riding apparel, leather vests and gloves in the heat! We explained that, like our helmets each piece had a protective function. I related the story of the time I didn't wear my vest and caught a wasp in the belly. Within half an hour, the welt covered my entire mid-section! Thankful for the time we took to share with them, it was easy to see they would feel less trepidation when encountering bikers in full attire henceforth! 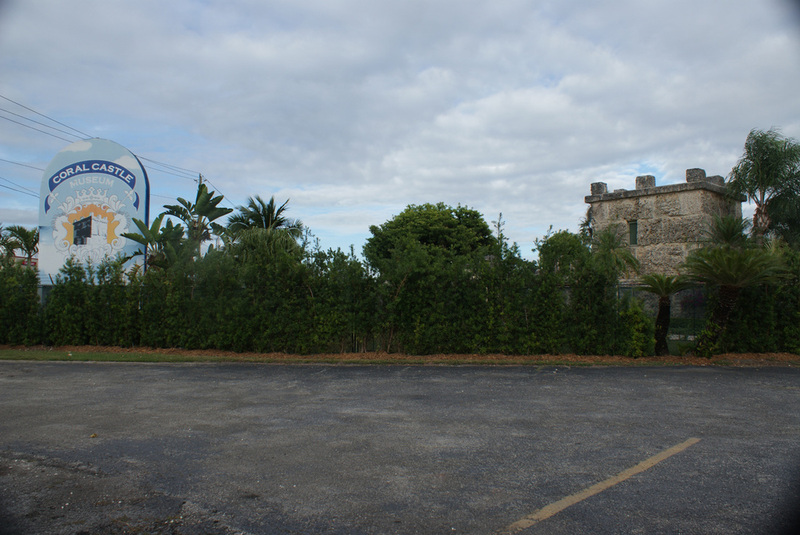 Coral Castle, formerly Rock Gate Park, is the accomplishment of one man. Built single handedly, he also relocated significant portions of the castle by himself when moving from Florida City to Homestead! 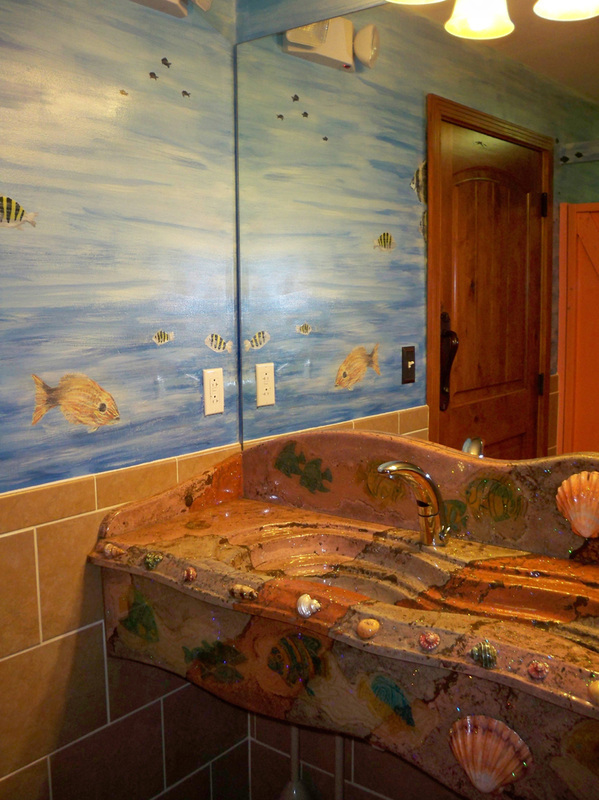 Though even the furniture is made of coral, the ergonomic designs provide extreme comfort. This is a lesson bikers need to pay attention to when modifying their motorcycles!